How to Recover Deleted Files from SD Card? 4 Ways! Sometimes your valuable data (such as photos, documents, etc.) stored on your SD card accidentally gets deleted. If that happens, don’t worry because the data deleted is still there, you just need to recover it in order to be able to use it again. Fortunately, there are some ways to recover deleted files from SD card. 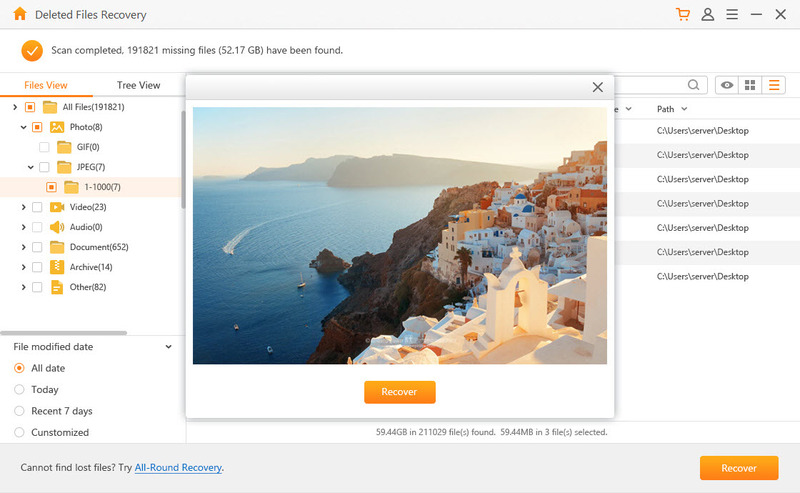 iMyFone AnyRecover is a professional data recovery tool that can recover deleted files from various popular storage mediums, including SD cards. You will need to use Deleted Files Recovery mode in order to recover deleted/lost files from your SD card. You will also need to connect the SD card to your computer via a SD card reader for successful recovery. Although AnyRecover has a high success rate when it comes to data recovery, it is recommended that you don’t write new data on your SD card before recovering your deleted data first, so that the chances of successful recovery are increased. Recover lost/deleted files from healthy, corrupted, or damaged SD card quickly and conveniently. 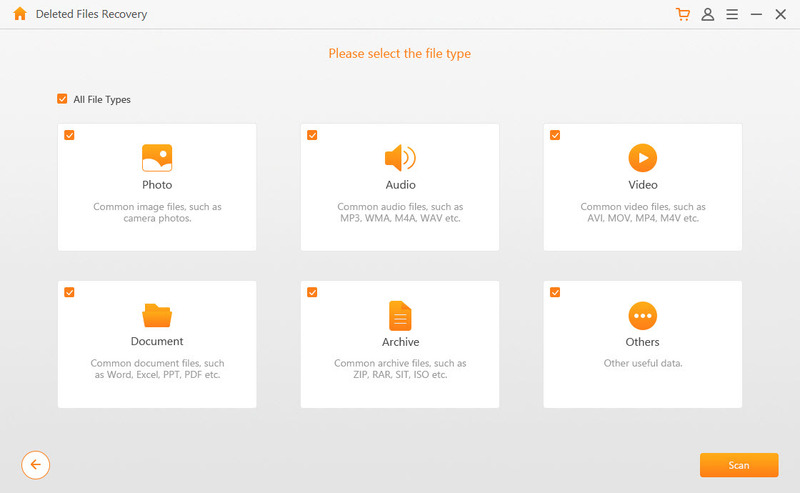 Recover virtually all types of files, including photos, videos, documents, archives, and more. AnyRecover allows you to preview your files before you actually recover them. This is a great feature as it allows you to perform selective data recovery of your desired files effectively. User-friendly software interface. 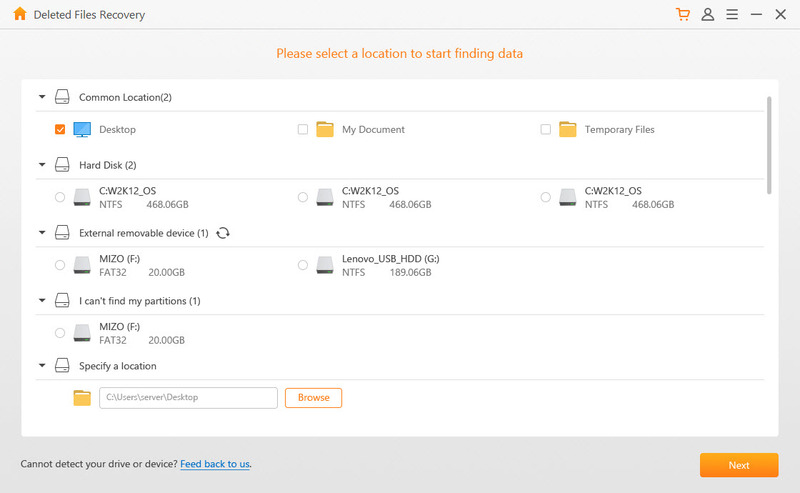 Using AnyRecover to recovery deleted files from SD card is easy as 1-2-3. Step 1. Connect your SD card to your computer via SD card reader and make sure it is detected by the operating system. Step 2. Then, launch AnyRecover and click on Deleted Files Recovery mode on its home screen. Step 3. Navigate to your SD card, click on it, and then click the Next button to proceed. Step 4. Now you will need to choose the files types that you wish to scan for. Mark ‘All File Types’ option if you want to scan and recover all types of files. Then click the Scan button to start the scanning process. 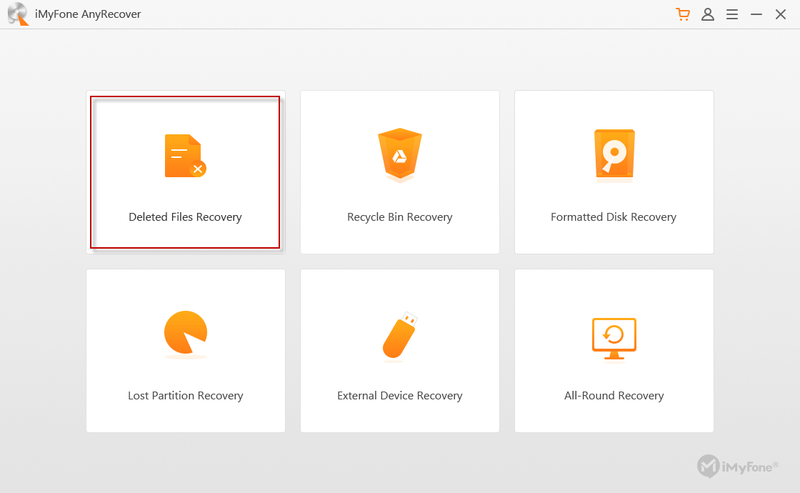 Step 5: Preview and select the files that you want to recover, then start the recovery process via the Recover button. Sometimes the device or computer you are using to read the SD card has a problem, which cannot show all the files stored on the SD card. If you think that this is the case, then it is highly recommended that you connect your SD card to a different computer or device and see if you can find the files that were not showing on your previous device. If they are still not showing, then you will need to recover them via AnyRecover. Sometimes formatting a SD card streamlines the data recovery process. It also helps if your data recovery tool is not detecting the SD card properly. Formatting the SD card is a straightforward process. You should make a backup of your files before proceeding. Step 1: Use a SD card reader to connect your SD card to your computer. Step 2:Then select your SD card via My Computer and right-click on it. 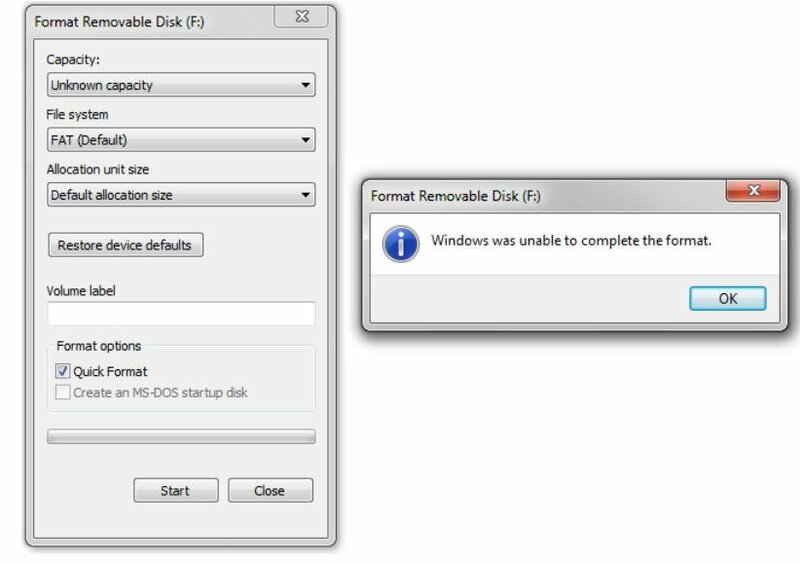 Step 3:Choose the Format option from the menu and then select ‘Restore device defaults’. Uncheck the ‘Quick format’ option. Step 4:Now click start to begin the formatting process. Step 5:Once it is formatted, use a professional data recovery tool such as AnyRecover to try and recover your deleted files. 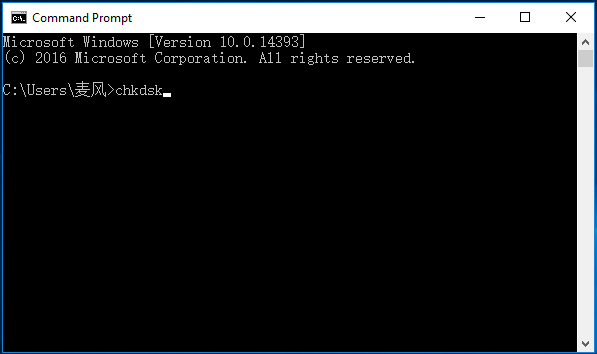 Windows chkdsk command can fix a malfunctioning, corrupted SD card and make it easier for you to recover data from it via the recovery tool. Step 1: Connect your SD card to your computer via card reader. Step 3: Now press enter and your SD card will be fixed. Step 4: After that, try your favorite data recovery tool to recover your deleted files from your SD card. How to Tell If Your SD Card is Corrupted? When your SD card is corrupted or damaged, you can tell by its symptoms. Often, corrupted SD cards show irregular behavior and lead to data loss. You should look for such symptoms to determine whether your SD card is corrupted. Some files are missing from the SD card even though you didn’t delete them. You cannot read or write new data on your SD card even though there is a plenty of free space on it. Your computer or other device cannot read the SD card. You cannot format the SD card via your phone and/or computer. Other error messages such as ‘corrupt memory card’ or ‘memory card error’.